Don't think that when you purchased that Aquamira Water Filter Bottle that you'll have to throw it away once its filter has reached capacity. The CR-100 capsule filter for your Water Filter Bottle will replace your bottle's existing filter quickly and easily. 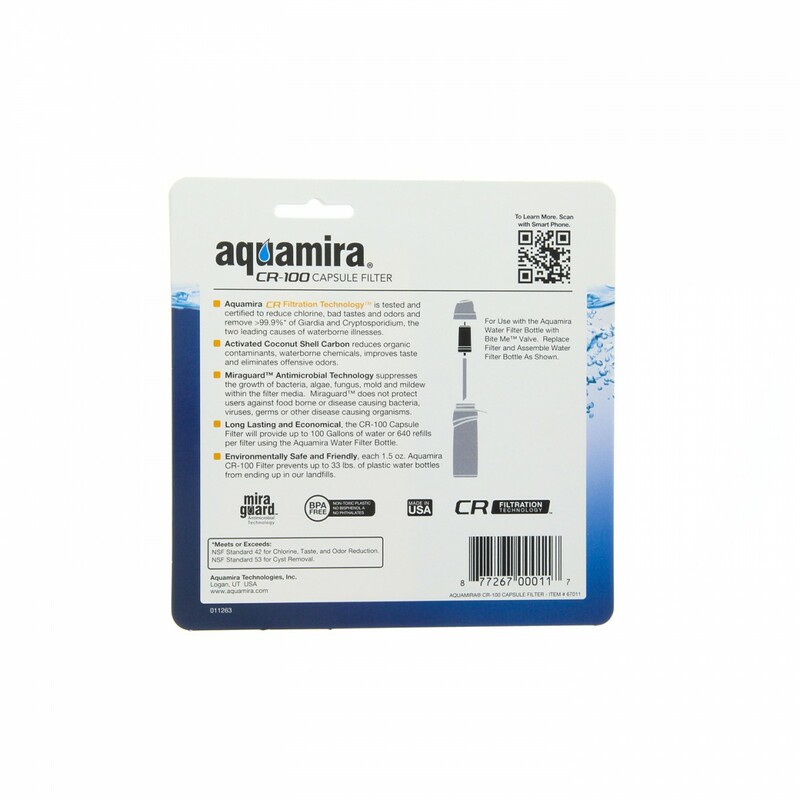 In fact, you may find that changing the filter on your Aquamira bottle is easier than changing the filter on your home water filtration system! Max out your Filtered Water Bottle with this fantastic capsule filter. 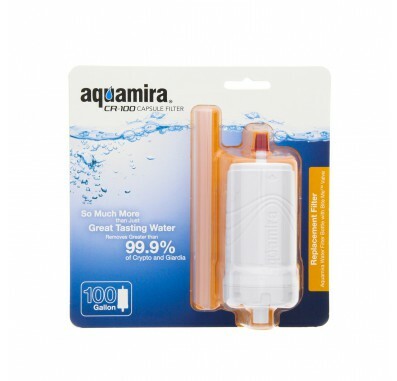 The Aquamira Water Bottle Replacement Filter Capsule fits Aquamira Water Filter Bottle with patented 'Bite Me' valve. Aquamira CR Filtration Technology for the ultimate in taste and filtration quality. 100 gallon capacity. Extreme durability thanks to sonic welded assembly. Removes 99.9% of cryptosporidium and giardia.